The new Sonik SK-TEK Shelter! As part of the amazing SK-TEK range, that works together seamlessly to provide a smart and affordable solution for the most demanding angler. This superb new shelter is both lightweight and quick to erect. It features extended storm side panels for extra protection and is made from 5,000mm HH 210D PU Backed Polyester. 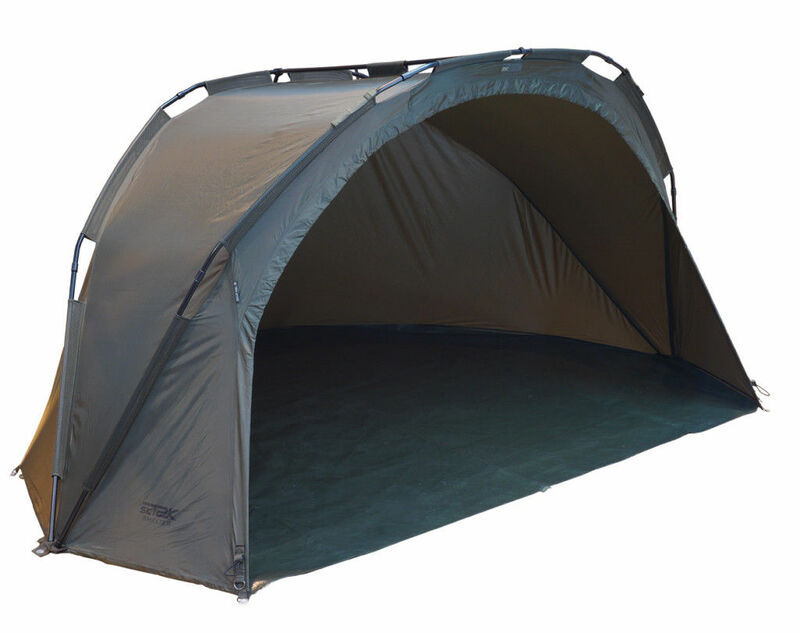 Other features include: Lightweight 5-section 16mm 6061 aluminium poles Tuff-lite™ Removable Groundsheet Maximum space pole layout and inline tension bars Velcro rod retainers Dimensions: Assembled: 2.8m W x 2.0m D x 1.35m H. Transport Size: 95cm x 18cm x 18cm. Weight: 5.3KG Supplied with oversize carry bag and heavy-duty T-Pegs.